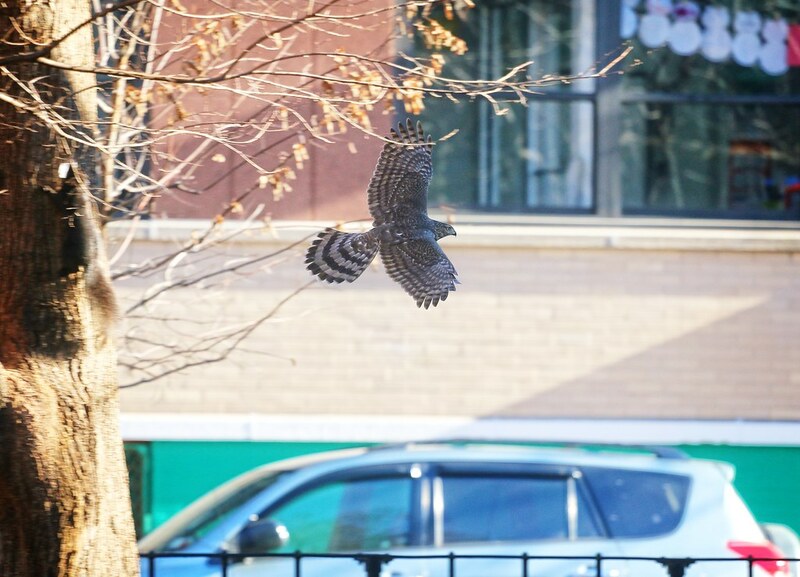 I caught this Cooper's hawk zooming around Tompkins Square on Saturday. 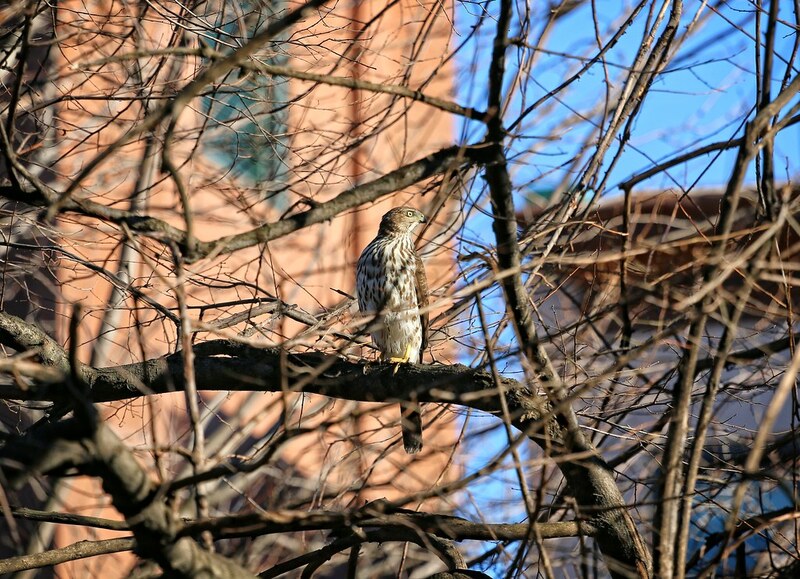 It flew so fast through the park, I almost missed it if not for its acrobatics. 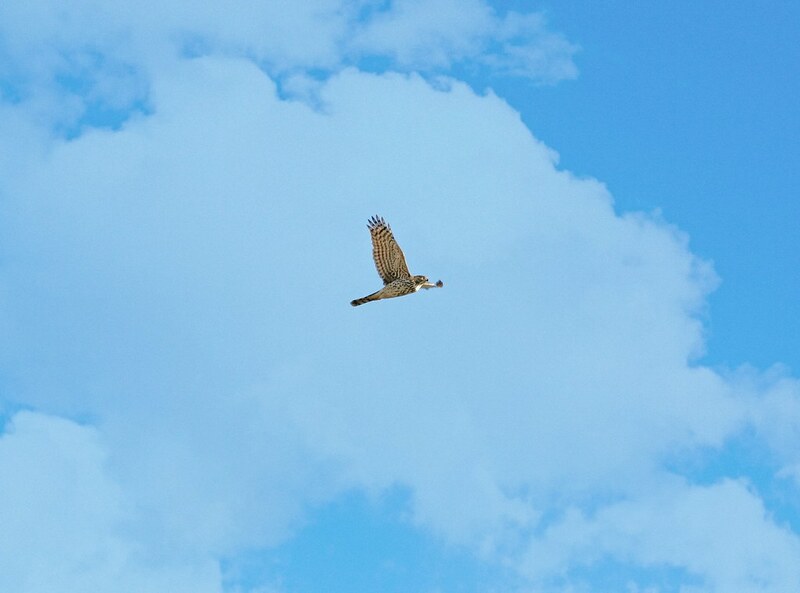 Its agility makes the red-tails look like flying manatees by comparison. 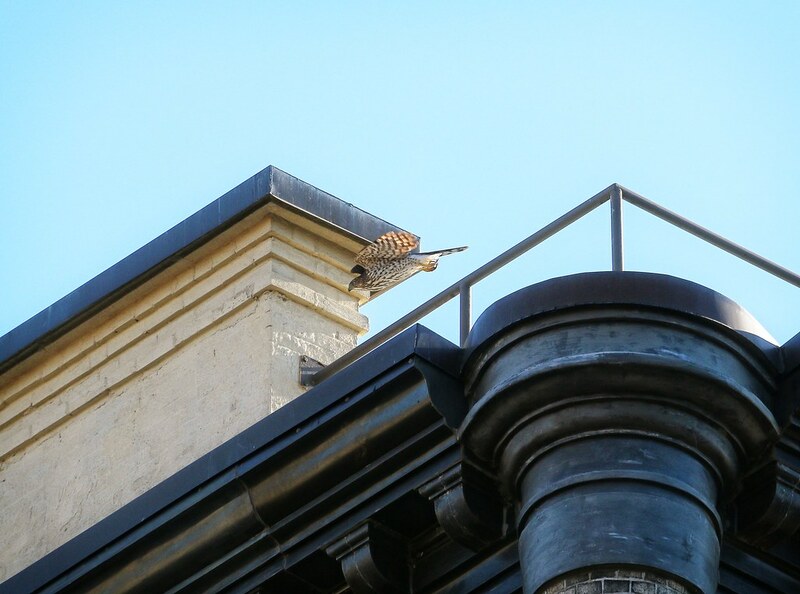 It perched long enough for me to snap this picture, then went back to diving after pigeons. 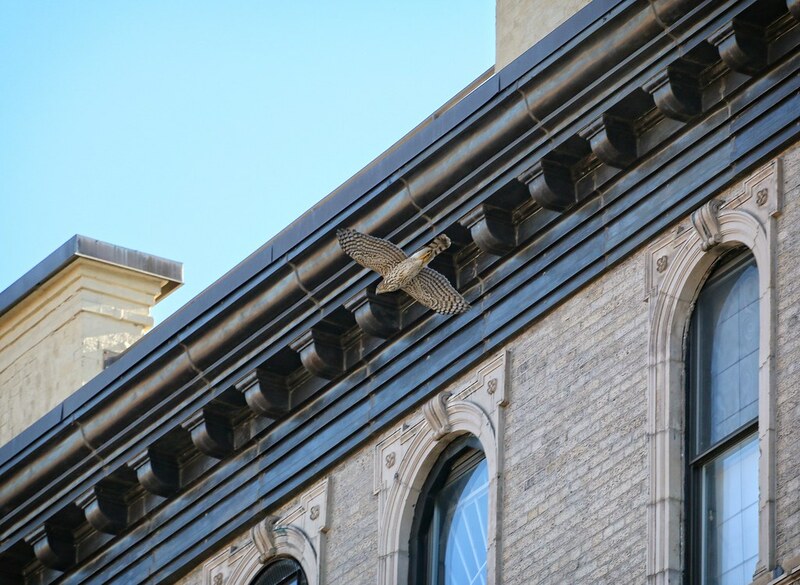 It chased some birds east on 7th Street, but didn't catch anything. 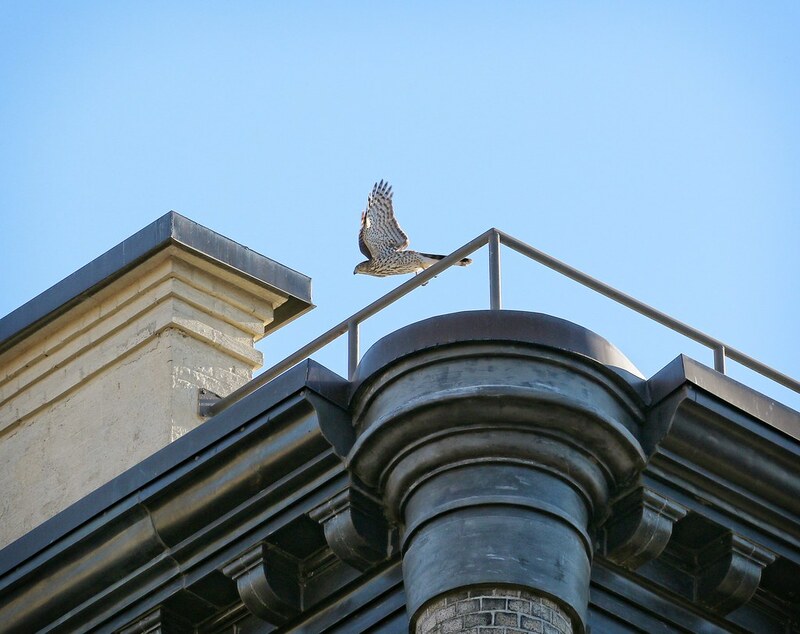 A short while later, it reappeared on Avenue A, then disappeared again in a gap between buildings just north of St Marks. Lovely. 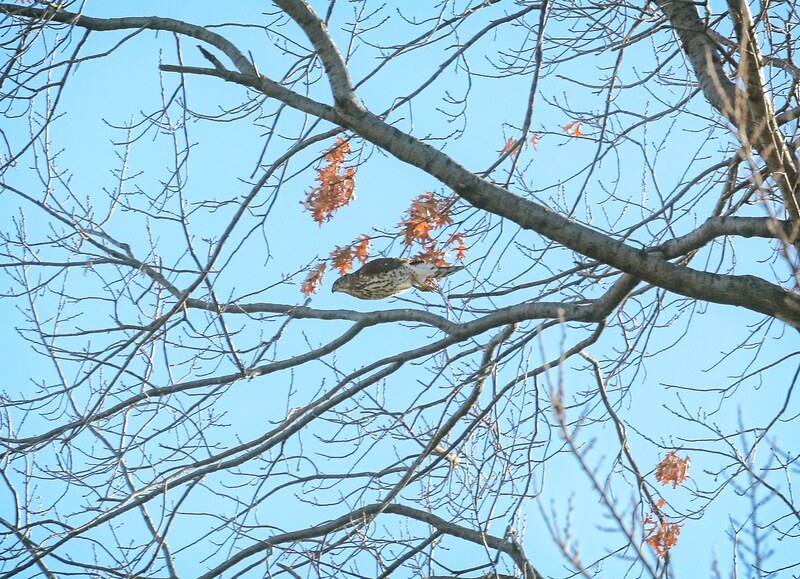 I had a Cooper's hawk hanging out in my back yard this week - hope it comes back. 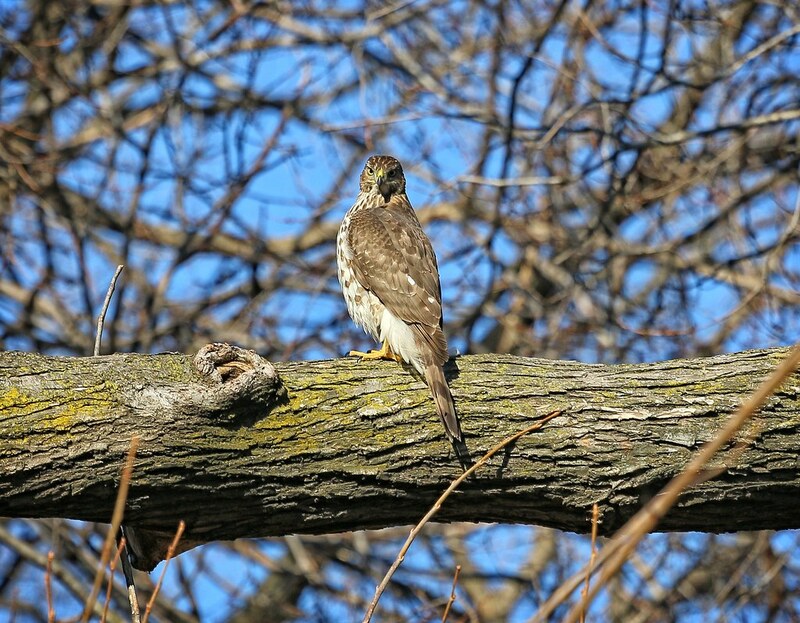 I've never seen a red-tail in the yard, but did see a peregrine there a while back.